We've included these beaches for you: Four Mile Beach and Palm Cove Beach. 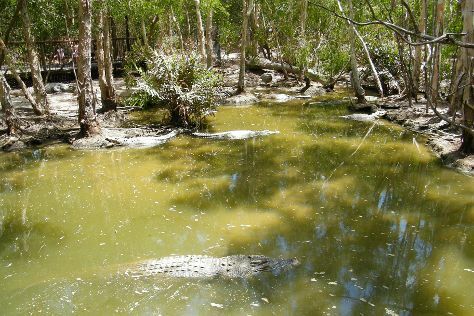 Get outdoors at Daintree Discovery Centre and Hartley's Crocodile Adventures. Venture out of the city with trips to Port Douglas (Safaris & Wildlife Habitat Port Douglas). Spend the 23rd (Thu) wandering through the wild on a nature and wildlife tour. There's still lots to do: trek along Esplanade Boardwalk. To see more things to do, maps, and more tourist information, you can read our Cairns trip itinerary builder . If you are flying in from Sri Lanka, the closest major airport is Cairns International Airport. In May in Cairns, expect temperatures between 32°C during the day and 24°C at night. Wrap up your sightseeing on the 27th (Mon) early enough to travel back home.